I’ve not been terribly successful with finishing objects. In fact I have probably added a couple more WIPs to my pile. Ho hum. 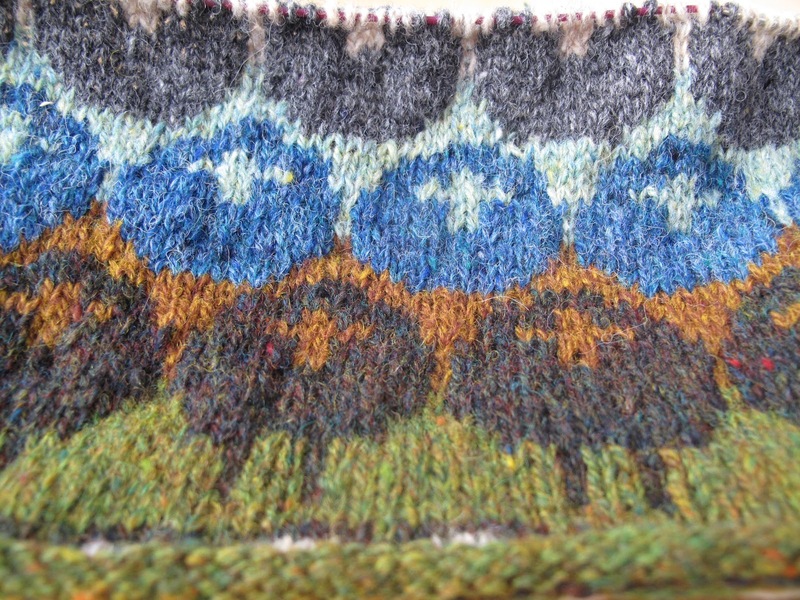 I have made some more progress with my Rams and Yowes by Kate Davies. I am enjoying this pattern so much – the choice of colours might be slightly idiosyncratic but they make me happy. By next week we will have the results of the Planet Handmade survey. If you are a retailer or a designer maker there is still time to take part here and help us to build a really useful site to support our industry. This week I am knitting teddy bears for our campaign for Refuge – which is an amazing charity helping women in the most difficult of situations. We will be putting the pattern up on line and asking for a donation of around £2. Keep an eye on The Knitter website for more details.